I have just finished my very first fair isle knit project! Well, my first legitimate fair isle knit project, that is (I don’t count knitting words onto half rests true fair isle knitting). Before I go any further, I must give credit to whom credit is due. I received this pattern here, making a few minor adjustments of my own. Firstly, I used a tubular cast on for 1×1 ribbing instead of the traditional long tail cast on. Not only does this give a thick, professional, and elastic edge, but it also essentially eliminates the cast on row, so the entire work seems seamless. Secondly, the original pattern calls for a color gradient from black to grey. I, on the other hand (due to artistic license and a lack of resources) chose to use the scrap yarn from the scrap yarn I used to make my Drusilla scoop neck sweater to make a simple two colored fair isle knit cap. Lastly, the original pattern was designed for a young child (presumably the author’s daughter). And since I have/am not a young child, I had to bump up the pattern a few needle sizes larger. I must admit, though, this was in many ways an impulse knit. I didn’t scour the interweb looking for cool patterns and I didn’t have really nice yarn I wanted to use. I kind of just saw this pattern online, had some spare yarn to use up, and spent half of season 1 of Downton Abbey knitting this hat (on that note, by looks: Sybil, Mary, Edith; by personality: Edith, Sybil, Mary). So, I don’t have a cool story behind this project, but if any of you are looking for a warm, wintry hat in the middle of September, hit me up. 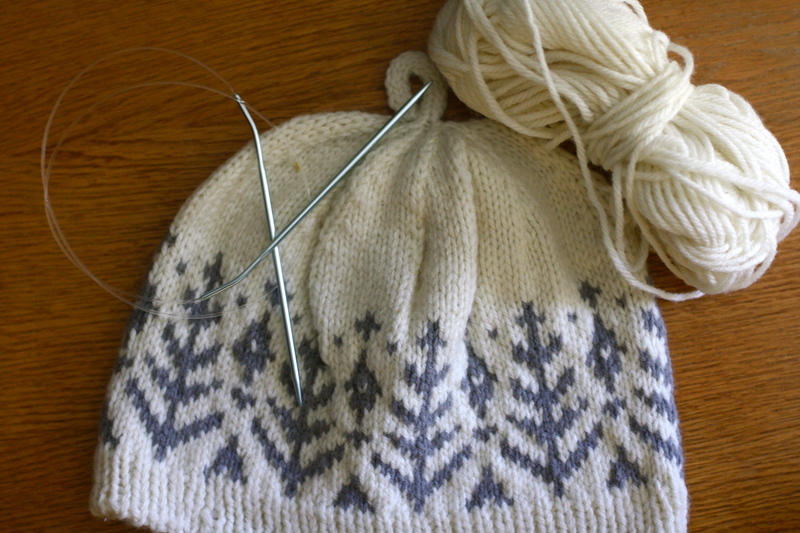 Oh yeah, as a fair warning to my fair isle hat wearers, if you wear this hat you may or may not be matching with 6 year olds whose mothers used the same pattern as me. While I may not have much to say about this hat, I do have some updates for you reliable readers regarding my previous posts. 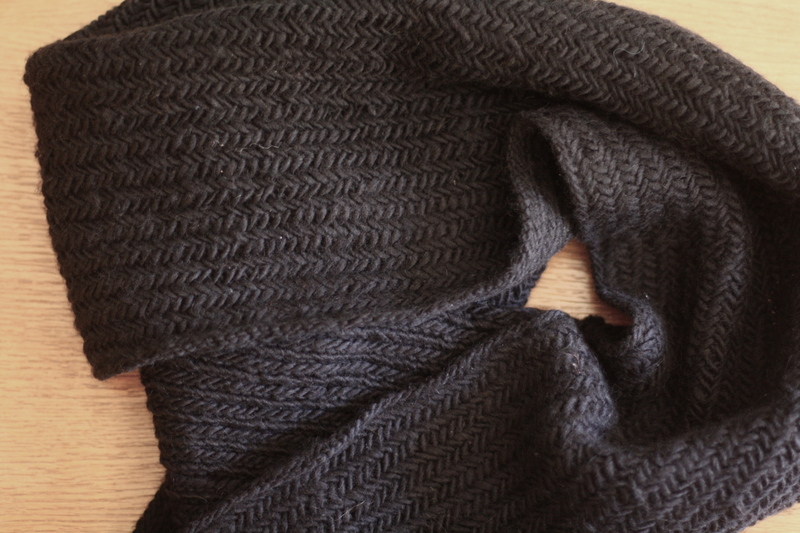 Firstly, I finished the black Herringbone cowl, which I made from recycled yarn (for a whopping 9.3% of the cost of my original cowl made from new yarn). I’d like to think that the finished product came to around the same quality. (I apologize for the awkward posing of the scarf. I was trying to put it in its native conformation). This one is still up for grabs, so if you want it, let me know! 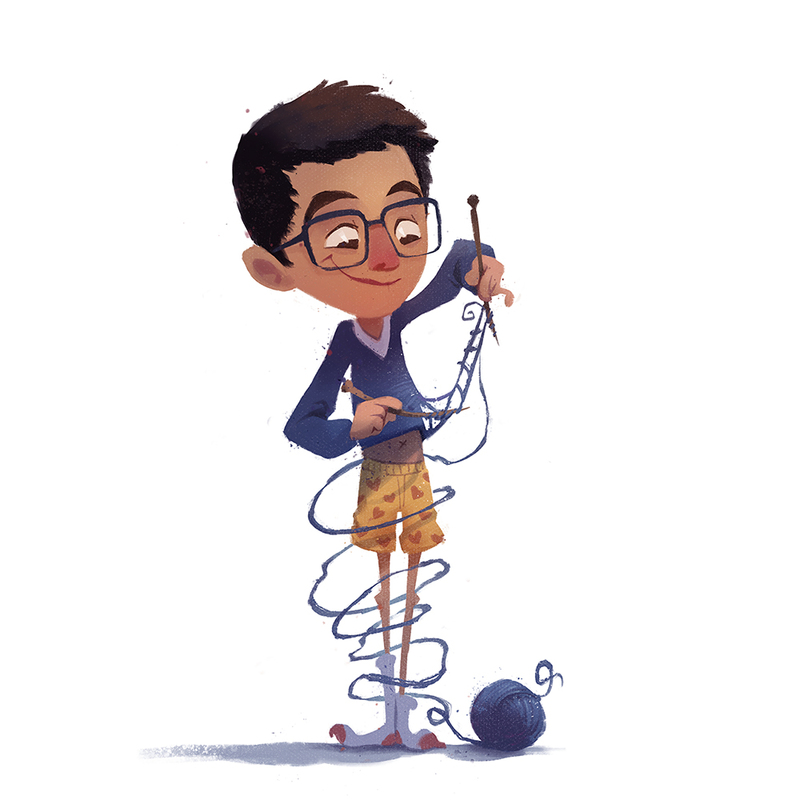 Secondly, with regards to the Martha Stewart knitting contest, I am sad to say that I did not place. Dorothy Jane and I are both saddened at the news, but I think she’s taking it the hardest. I will be starting a petition in the near future to rally support for my appeal and to force Martha Stewart herself to recognize my work. More on that to come. Probably not. On a happier note, it turns out I’m famous! As I mentioned in a previous post, I attended a comedy show that was being filmed and hopefully sold to Comedy Central for a televised release. And what do you know, two months later, I see it on television! So what’s the first thing I do? 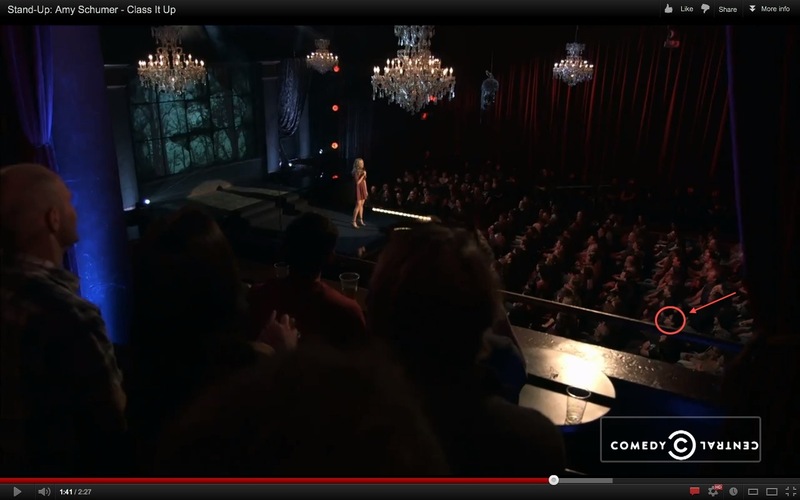 I go through all possible clips of the show I can find on youtube and search the brief panning shots of the audience to pick out my face. Do I realize that I’m essentially watching the same comedy routine multiple times? Yes, but I’m a huge proponent of the “pics or it didn’t happen” theory, so this is a priority one for me. I’m a little hesitant about going into detail about who this particular comedian is, only because her humor is of the vulgar variety and, despite the fact that I’m a grown 22 year old man, I fear the judgment of my peers. But, in an attempt to be transparent with you all (and to prove to you that I’m not making this all up), I will tell you that it was Amy Schumer who I saw. Oh yeah, on to the famous part. Look! It’s me! Were you expecting a close-up face shot? Well, as it turns out, they reserve those shots for the hot white people sitting in the front row. But I’m around 65% sure that that’s me in the picture. It’s around where I was sitting, and he does look Asian (which was a rarity in that particular population). For those of you hard pressed for more evidence, unfortunately, the full performance still hasn’t been pirated onto Youtube yet. But don’t worry, as soon as it is I’ll be sure to analyze the entire show. I think I have around 45% of the show memorized already. I apologize for going a little bit hyperlink-happy today, I– whoops, there I go again. 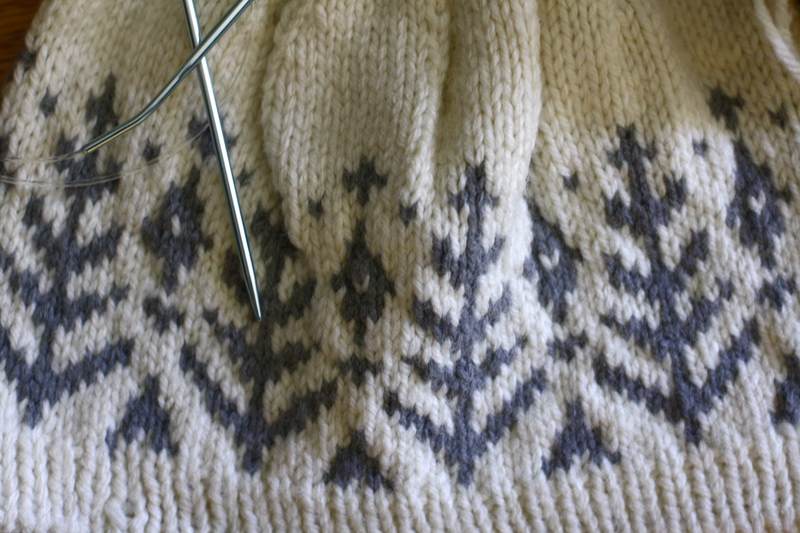 ***Fair isle knitting is a knitting technique named after a small island north of Scotland and first became popular when the Prince of Wales starting wearing fair isle sweater vests in 1921.